the masses at lunchtime in downtown Rochester in 2017. 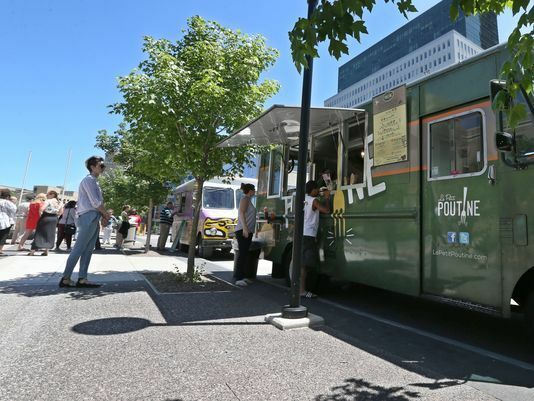 An organization that was instrumental in forming the city’s food truck scene has disbanded. The Rochester Food Truck Alliance is no longer operational, said Lizzie Clapp, who ran the organization with Veronica “Ronnie” McClive for the past five years. The women are co-owners of the Le Petit Poutine food truck. McClive created The Rochester Food Truck Alliance (ROCFTA) to lobby for laws favorable to food trucks. 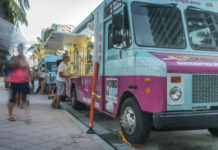 Among its accomplishments was successfully advocating for the city to increase the number of locations where trucks were allowed to vend downtown; there are now 12 in all. 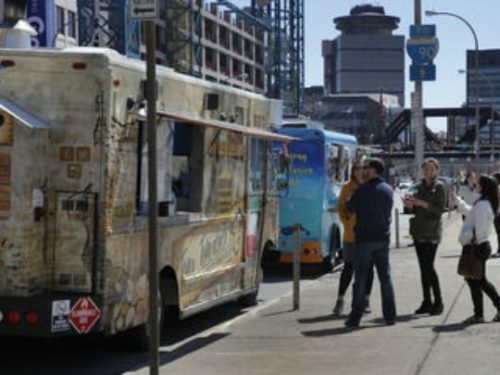 “Ronnie and I have found that after five years, ROCFTA accomplished the initial goals of creating permanent vending laws in the City of Rochester, and introducing food trucks into the larger local food and restaurant community,” Clapp said via email. A group of 19 food owners have formed an informal group called Rochester’s Best Food Trucks, which has a website and a Twitter presence (@rocsbesttrucks). 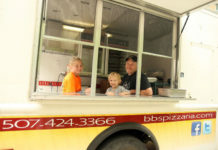 Its aim is to support each other’s businesses and to generate leads, said Michele Yancey, co-owner of The Meatball Truck. “You can go this one site and find all the best trucks,” Yancey said. 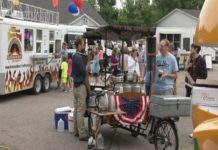 Rochester, MN: Is this the year for food trucks?